Star Trek: Discovery is getting ready to introduce Spock in its second season, but this isn’t the first time a non-Original Series show has tried to bring young Spock into its timeline. A script outline shows how we almost got two Spocks for the price of one in an early episode of Star Trek: The Next Generation. 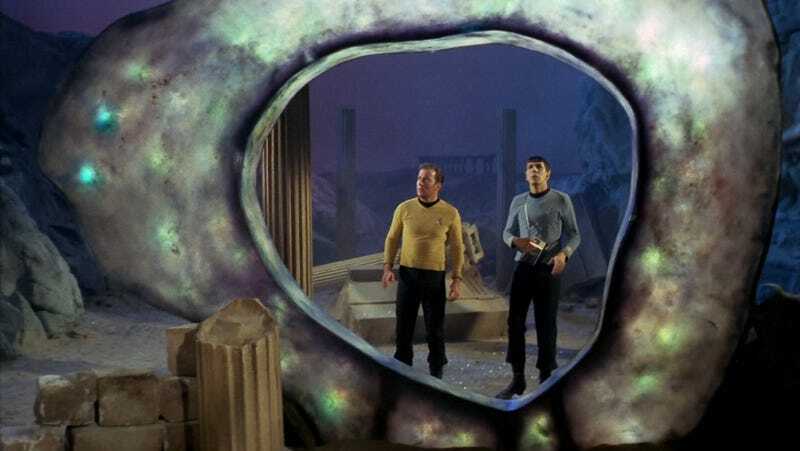 The episode was supposed to see Leonard Nimoy return to his role as Spock, letting both his 24th and 23rd-century counterparts meet, but negotiations fell through and the episode ended up not happening. Luckily, Nimoy did eventually join the crew of The Next Generation in the two-part fifth season episode “Unification.” He also got to play an older Spock alongside Zachary Quinto’s Kelvin Timeline version in the 2009 film Star Trek.